PT BNI Life Insurance - BNI Life is a trusted and reliable financial services company with core business competencies in general insurance industry. BNI Life offers a wide range of general insurance products which include life insurance, health insurance, education insurance, sharia investment and pensions. PT BNI Life Insurance is a general insurance subsidiary of PT Bank Negara Indonesia (Persero) Tbk (BNI Group), the third largest state-owned lender in Indonesia. At present, BNI Life is 60% owned by BNI Group, 39.999993% by Sumitomo Life Insurance Company, 0.000003% by YKP BNI and 0.000003% by Danar Dana Swadharma Foundation (YDD). BNI Life was first established in 1996 and initially registered as PT Asuransi Jiwa BNI Jiwasraya. Later in 2004, PT Asuransi Jiwa BNI Jiwasraya renamed into PT BNI Life Insurance. 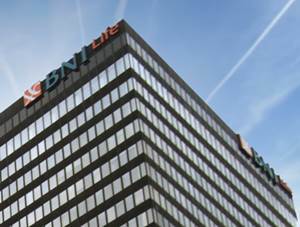 Headquartered in Jakarta, BNI Life runs its business through 6 service offices, and 17 marketing offices, 39 independent sales offices spread across Indonesia as at the end of 2016. In term of financial positions, PT BNI Life Insurance closed the business year of 2016 with a positive result. According to information found in PT BNI Life Insurance Annual Report 2016 as cited by JobsCDC.com, PT BNI Life Insurance managed to increase its total revenues by 56.99%, from Rp 3,644.31 billion in 2015 to Rp 5,721.41 billion in 2016. Total net income amounted to Rp 183.95 billion in 2016 or 14.94% growth as compared with total net income recorded in 2015 worth of Rp 160.04 billion. At least Bachelor Degree (S1) from leading university with minimum GPA of 3.00. Has a history of outstanding performance in academic projects, active in extracurricular or organization activities. Strong leadership, interpersonal, communication and presentation skills. Goal oriented, initiative, creative, persisten and highly passion to learn. Fluent in Englis (spoken and written) with minimum TOEFL certificate score of 500 or minimum TOEIC certificate score of 600. JobsCDC.com now available on android device. Download now on Google Play here. Please be aware of recruitment fraud. The entire stage of this selection process is free of charge. PT BNI Life Insurance - Fresh Graduate Future Star Leadership Program BNI Life June 2018 will never ask for fees or upfront payments for any purposes during the recruitment process such as transportation and accommodation.